A Christmas calendar front drawing made in 2016 for Berlin based jewelry company, Jukserei. The calendar was used as a present for Juksereis customers and collaborators. 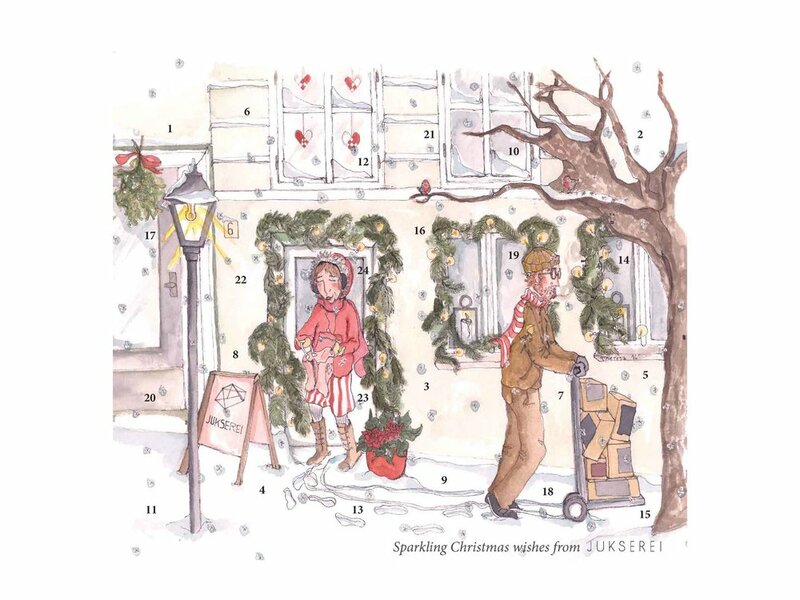 A Christmas calendar front drawing made in 2015 for Berlin based jewelry company, Jukserei. 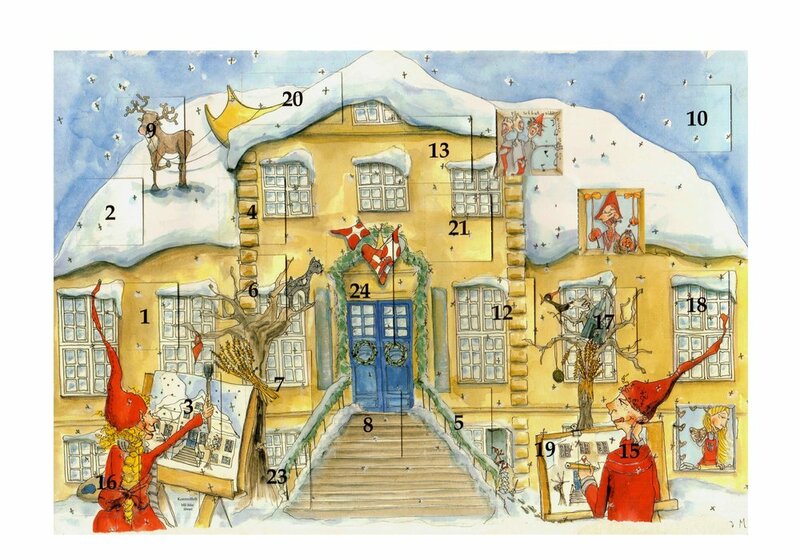 Christmas calendar made in 2009 for the city of Viborg. The front as well as the doors in the calendar pictures a historical building outside and inside in Viborg. Christmas calendar made in 2007 for the city of Viborg. The calendar pictures a historical building in Viborg.